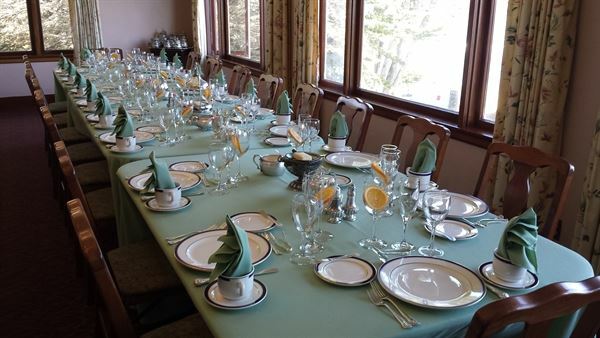 The Martine Inn offers a variety of wedding locations throughout the property. Our staff will create a special and unique atmosphere according to your desired to ensure an unforgettable day. Time- 12-5 PM Only Reception-Luncheon= $55-$65 Per Person Plus Tax and 18% Gratuity (Depending on Food Selections-See List) Hors d’oeuvres- Cost Per Plate-Dish Depending on the Guest Choice (See List) Cake-$10 Per Person Plus Tax and 18% Gratuity (By Our Chef or 3 Local Bakeries) Beverages- By Bottles or Containers-$20-$50 (or more) Plus Tax and 18% Gratuity Decorations- $100 and Up Depending on Guest Choices (Market Value) Flowers- Market Value Music- Market Rate for The Band, Instrumentals or DJ Services. Officiate- $300-$500 For Ceremony (Local Rate) Seating- Tables, Chairs, Heaters, Etc.= Market Rental Rate Other Guest Requests and Choices- TBD At Market-Local Rate The Martine Inn will make all venue contacts and arrangements for the Guest Wedding. No outside vendors or caterers are allowed. Guest may have specific requests, flowers, music etc. but MI Staff will coordinate timing, delivery, etc. Wedding for a Maximum of 51 to 100 Persons This Number Of Guests Will Include An Inn-Takeover- All 25 Rooms Booked and Paid For A Minimum of 2 Nights Stay by Weddings Guests. Site Use Fee 51-100 Persons= $1500 Reception, Lunch. Dinner and Other Costs as Listed Above. Berwick Park or Lovers Point Wedding Site- The Guest will need to Go the Pacific Grove City Office to get a Permit and License for Use Of these Public Sites. The Permit is given to the Martine Inn to assist with the Wedding Site Set Up and Total Venue. Everything was perfect! The room was elegant and the view spectacular. Service was excellent. Mr. Martine and his staff are very easy to work with. I will definitely consider Martine Inn for future events. Special Features: Thank you for your interest in the Martine Inn for your Special Event! We are happy to assist you by providing over 3 decades of expertise, professional service, romantic settings and Victorian charm that will add a unique quality for your Special Day!